Been hearing Barred Owls along Byrne Creek on our last several walks, and today we saw one. Max 40X optical zoom on my little pocket Canon SX730H at ISO 800, which is about as high as you can push the wee sensor before you seriously start losing definition. 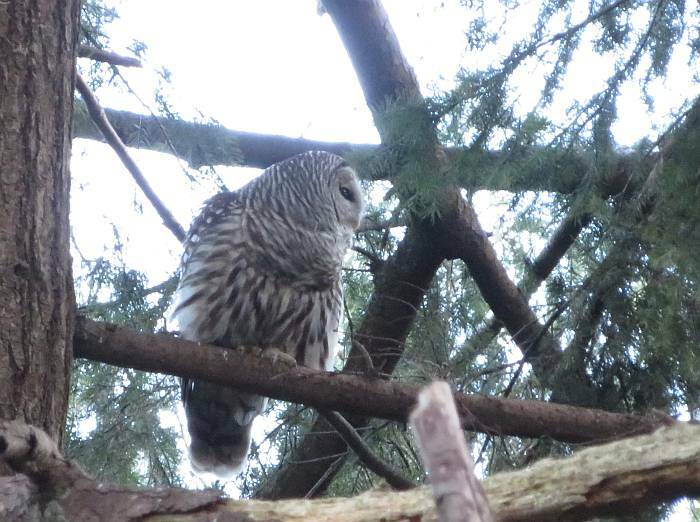 Barred Owls have been nesting in the ravine park, so please give them their space, minimize observation time, and don’t make them uncomfortable.